4. Describe your illustration style in ten words. Insane amount of detail -a triple Salchow (ice-dancing) that might just come off. I can’t possibly restrict myself to 10 words when I use so many different elements in my illustrations. 5. Tell us five positive words that describe you as an illustrator. He’s so totally loved and never has to grow up AND he lives in a tree in the woods. Into the future …to the End of the World, to see what happens. But I won’t tell anyone. See – you can do it. 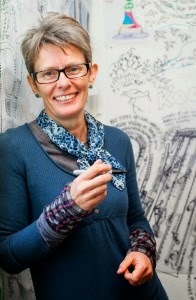 All sorts of artists and illustrators but I think I can’t put anyone higher than my mum. 10. What/who made you start drawing and painting? I was the youngest of 4 children and it felt like the others bossed me about a bit (they’d probably disagree). So I drew my own worlds where I could make my own stuff happen – I think I still do that now. There’s lots about the world that’s not so nice, I can change all that! Moominland Midwinter by 1950’s Finnish author/illustrator Tove Jansson. It’s the perfect book about friendship, yearning and snow. I’ve been re-reading it since I was about 9 so why stop now? Liz Anelli is an artist and illustrator based in Newcastle, NSW. 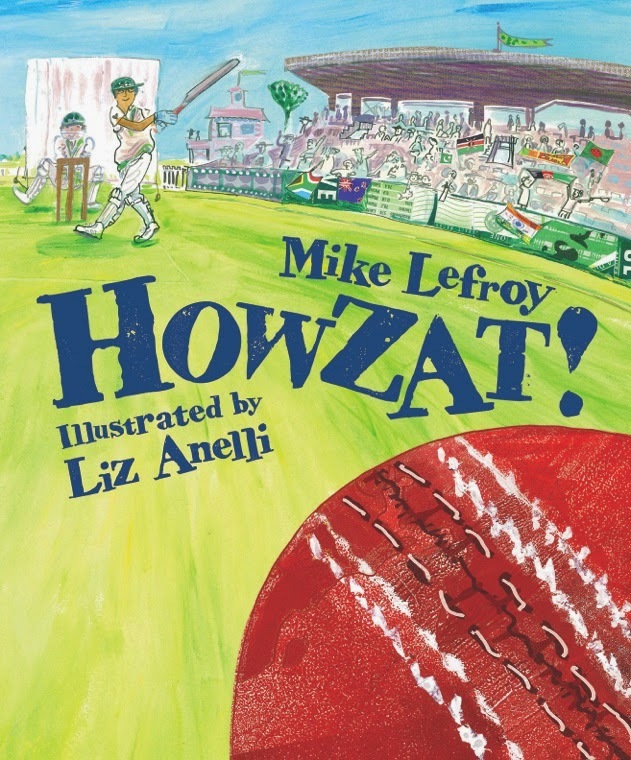 She is the artist behind the Mapping the Port of Newcastle project and has illustrated a variety of books for children including her latest title, Howzat!, written by Mike Lefroy and published by Walker Books. You can find our more about Liz and her art by visiting her website and Facebook page.